Our therapies may help anyone, whether involved in sport or not, who has recurring aches, pains or postural issues. If you participate in sport on a casual basis, or not at all, but have to spend much of your time sitting down, or performing repetitive movements, then you may also find our therapies worthwhile. If you take your sport seriously, we are here to compliment your strength & conditioning regime and the care you take over your nutrition. If you are training hard, regular appointments can help you avoid unplanned down-time by ensuring that issues are addressed before they start interfering with your performance. Of course, we also welcome one-off appointments, either to help with pain relief, unblock a lack of progress in performance, or to help you prepare for a challenge. A full range of massage techniques, including deep tissue massage, trigger point release, techniques to activate muscles and myofascial release, as well as relaxing massage. Progressive application of therapies to promote rehabilitation, together with advice on stretches and exercise, and guided gym sessions, if required. A variety of services that help reduce pain and/or promote recovery, including electrotherapy, strapping, and taping, as well as the provision of First Aid, if appropriate. Amanda’s modest blend of training, skill and instinct enables her to get right to the cause of that ache or pain. Her therapy carries on working for several days after she has finished the treatment. Fantastic physio sessions! I’ve always struggled with repetitive issues across my body whilst I train hard, but it hasn’t taken many sessions to really get some results and I’m feeling more mobile and stronger than ever. I’m either feeling that nice pain when she hits the spot or I’m falling asleep from having a great tension release! I’ve been to see Amanda on a couple of occasions, for various aches and pains. She’s a great listener, really takes the time to find out about the problem in depth, and establish not just what she can do to help, but what you can do to stop the problem re-occurring. And if you’re nervous about her hurting you, don’t be! My treatment was relatively painless, and the results immediate. Amanda is outstanding in everything she does, and is highly recommended. Just a very quick thank you for helping with my conditioning in 2016 and helping me overcome neck and shoulder injuries which enabled me to win a silver medal in the 2016 ASA Open Water National Swim Championships (60 to 64 age group). I’ve not been able to walk further than a few hundred yards for about 6 years without my right leg suffering from drop-foot. However, after seeing Amanda and having one session with her I was not only able to walk further but also walk confidently. It’s like all my Christmas’s and birthday’s rolled into one! Having been suffering from a shoulder injury for over six months, I booked in with Amanda for some treatment. The session went so quickly. Amanda identified the problem straight away and improved mobility and reduced pain instantly. I was beyond impressed with her expertise and fabulous bedside manner, she put me at ease and from the outset I knew I was in safe hands. I have and will continue to recommend Amanda and look forward to more treatments with her. I have been to a number of Sports Therapists / Physiotherapists over the years for reasons ranging from sports injuries to general muscle strains. I have seen Amanda a few times over that past few months for an old reoccurring back strain and she is without doubt the best Sports Therapist I have been to. The knowledge she has of her trade is excellent and her assessment got right to the heart of the problem. There has been an appreciable, positive difference after each visit. I’m writing in praise of Amanda Lord at Ad Alta. Actually, I think she should be renamed Amanda Oh – My – God! I have visited quite a few osteopaths, masseurs and sports therapists over my time but none have been as thorough and effective as Amanda. The first ten minutes was taken up with various assessments of my health and mobility. 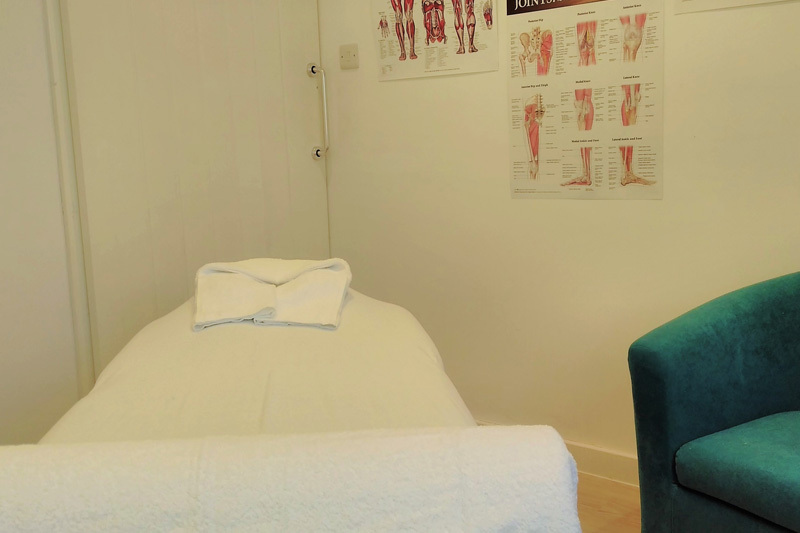 I thought I was in pretty good shape and only wanted a massage of my calf muscles and to see if we could do something about that niggling neck and shoulder pain that we all suffer from. After the assessment Amanda told me that things were quite serious! She explained all the problems in both technical and layman’s terms and then set to work. This was no gentle, relaxing massage but serious sports therapy. At the end of it I was exhausted but felt completely relaxed and overjoyed with the newfound mobility. I won’t go into the full detail suffice to say that I ran a personal best at the Parkrun 5K this Saturday knocking over two and half minutes off last weeks’ time and I’m sure there’s plenty more in the tank. If you are serious about increasing your mobility, flexibility and speed then you really do need to visit Amanda. I will be recommending her to all my friends and colleagues. Thanks Amanda, be back soon!